The cat seems to be out of the bag: on its Xperia Twitter account Sony teased its rumored new display format. With the words "Embrace a new perspective", the 21:9 screen format of the Sony Xperia XZ4 is now all but confirmed. You will also find information about the device's release date, technical specs and more right here. The 21: 9 display of the Sony Xperia XZ4 is now confirmed. Sony published a teaser with the new display format on its Twitter @sonyxperia. This can only refer to the upcoming flagship smartphone - the industry experts agree. The 'cinematic' format has previously been rumored several times. With the tweet from Sony itself, the rumors now seem to be confirmed. The video titled "Embrace a new perspective" promises an announcement at the Sony press conference during the MWC in Barcelona on February 25. Thanks to Ice Universe on Weibo who unveiled some of the features of the Xperia XZ4, we now know that the next top of the range device from the Japanese company is supposed to be revealed during the MWC in Barcelona next year. Obviously, powering the smartphone we will find Qualcomm's latest top of the range chip, the Snapdragon 855, presented during the Developer Summit that is being held in Hawaii. Of course, this requires support for the next-generation 5G network. Plus, 6GB of DDR4X RAM should ensure good multitasking performance. Internal storage should be available in two variants: 64GB and 256GB. It will probably be further expandable, although that hasn't been confirmed yet. The fingerprint reader seems to migrated back to its original place on the right side of the device and the 3.5mm headphone jack should also be present. It's interesting to see how Sony seems to have decided to include a larger battery (3,900mAh) and a display with an unusual 21:9 format, which is extremely elongated, with FullHD+ resolution. Thanks to Twitter account OnLeaks, in collaboration with MySmartPrice, we have learned more about the Sony Xperia XZ4 through their new renders. At first glance, its large screen, which goes from 6 to 6.5 inches and without a notch in sight, catches the eye. This screen makes the dimensions of the phone reach 166.9 x 72.4 x 8.2 mm, but we don't know anything about its weight yet. What do we find on the flip side? Three sensors placed vertically in the center of the device, in the style of the OPPO R17 Pro, but in this case with the flash on top. Here Sony has gotten carried away by the current trend - the triple rear camera that started with the Huawei P20 Pro. We still don't know what kind of display we're talking about. For the rest, it seems that Sony will put the fingerprint reader on the side, something that was common years ago, but that the company has stopped doing on its more recent devices. The first render images already indicated it and a now leaked photo of a display protection glass seems to confirm it: Sony is lengthening the Xperia XZ4. As you can see in this picture, the next Sony smartphone could appear in an unusual 21:9 format, while some users are still trying to get used to the new trend towards the 19:9 display. The Xperia XZ4 doesn't seem to have a notch, after all. However, the front is asymmetrical due to the narrow bezel at the lower end and the wider upper bezel. As already assumed for the Xperia XZ4 Compact, and in contrast to the XZ3, the fingerprint sensor should again be placed in the power button on the right side. The recesses are expected to be used for the combination of front speaker and earpiece, front camera, proximity sensor and a notification LED in the corner. Several photos that supposedly show off the user interface of the upcoming Sony smartphone have also leaked. The white-transparent stripe on the right edge of the screen is quite conspicuous and interesting. It suggests that Sony is trying a new side menu. This could replace the Side Sense function that we considered useless in our Xperia XZ3 review. For the home button, it seems that Sony will rely on the standard Android 9 Pie design, as can be seen on Pixel smartphones. The picture also confirms the unusual 21:9 display format. We can therefore expect a screen that's even longer than that of most current smartphones. 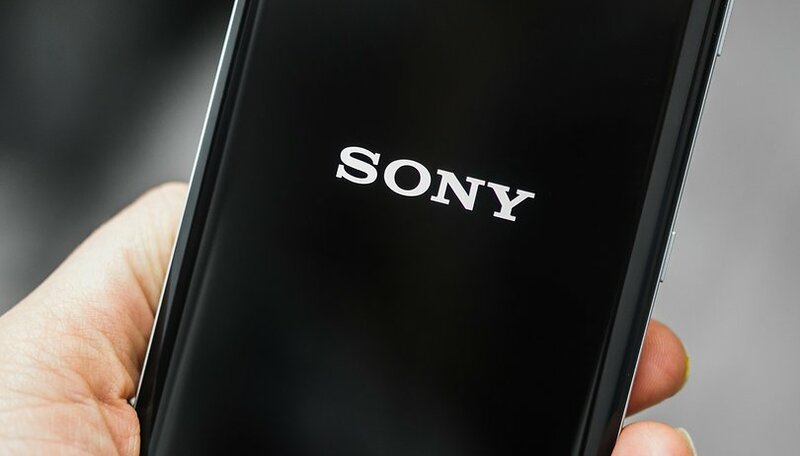 If Sony continues with its policy of presenting a flagship every six months (the XZ3 was unveiled at the last IFA in September in Berlin) the picture becomes clear: the XZ4 is likely to be presented at the MWC 2019 in Barcelona. A date that, like every year, is reserved for smartphone manufacturers wowing us with their new offerings. What did you think of the future Xperia XZ4? Let us know in the comments below. Another $1000+ phone. Woo hoo.....NOT!!! you're complaining about having more features? If let's say, Verizon handled this XZ4 I would definitely considerate it. I always liked Sony phones and this one will be their best release to date. I highly doubt this would happen but I think it's a nice thought! Their phones are becoming some of the world's best & vastly improved. With a 3900mamp battery it will maybe be a two day phone. They definitely know how to get the most out of their batteries!